“… Just because we can charge something doesn’t mean we should,” she wrote. A trove of documents obtained Tuesday by NBC 5 from the Cook County State’s Attorney’s office show that Kim Foxx was communicating with her staff about Jussie Smollett, even after she said she was recused from the case. Lisa Chavarria reports. A trove of documents obtained Tuesday by NBC 5 from the Cook County State’s Attorney’s office show that Kim Foxx was communicating with her staff about Jussie Smollett, even after she said she was recused from the case — and expressed concerns that Smollett, who she called “a washed up celeb who lied to cops,” was being over charged. “Sooo…...I’m recused, but when people accuse us of overcharging cases...16 counts on a class 4 (felony) becomes exhibit A,” a text message from Foxx reads. The text messages, obtained via Freedom of Information Act request, show the state’s attorney’s office was unprepared for the media frenzy that surrounded the "Empire" actor's case — particularly when the charges were dropped. “Just wish I could have anticipated the magnitude of this response and planned a bit better!” Assistant State’s Attorney Risa Lanier said in one of the text messages. The state's attorney's office acknowledged the document dump of 1,300 pages in a statement late Tuesday night. "As the case is currently under review, we are not in a position to comment on specificities related to this topic," the statement read. "We look forward to the findings of the Cook County Independent Inspector General’s Office’s review of how we handled this case." 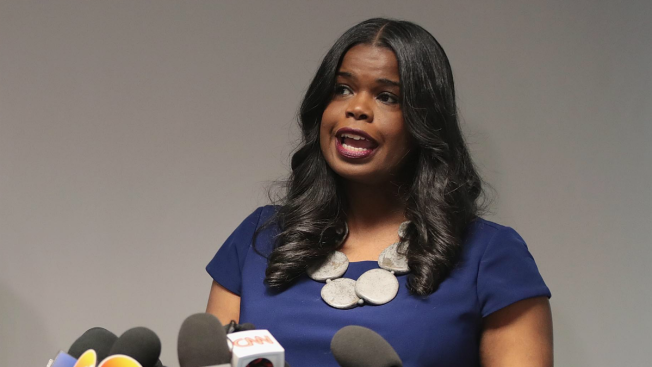 Foxx has asked county Inspector General Patrick Blanchard to investigate her office's handling of the Smollett case, she announced Friday. “A former prosecutor, Inspector General Blanchard has been conducting independent inquiries for Cook County for over a decade,” Foxx said in a statement earlier this month. “Ensuring that I and my office have the community’s trust and confidence is paramount to me, which is why I invited an independent review of this matter. I welcome this investigation and pledge my full cooperation and the cooperation of my office as IG Blanchard conducts his review," Foxx's statement continued. Foxx recused herself from the case in February, with documents obtained the following month, also via FOIA request, showing that Foxx had asked Chicago Police Supt. Eddie Johnson to turn the investigation over to the FBI. The documents also showed correspondence between Foxx, an unknown person and Tina Tchen, a one-time assistant to former President Barack Obama and chief of staff to Michelle Obama, who asked the state's attorney for assistance in the case. Prosecutors later said that Foxx did not "formally" recuse herself but did so only "colloquially," which allowed her to not seek the appointment of a special prosecutor. Foxx's office revealed on March 26 that all charges would be dropped against Smollett, who was accused of staging a racist, homophobic attack on himself. The decision sparked a war of words between city leaders and Smollett’s legal team. "I will tell you, I’m not going anywhere," Foxx told a crowd at the Rainbow PUSH Coalition, addressing calls for her to resign. Meanwhile, the Chicago Fraternal Order of Police and suburban police chiefs gave her a no-confidence vote after her office dismissed all charges against Smollett. While Foxx and her supporters are adamant that special treatment wasn’t given to Smollett, the city is still seeking $130,000 from the actor to pay for the overtime CPD accumulated to investigate his case.